Yellow dust is of particular concern for children who are active outdoors and have weaker immune systems than adults, and those who suffer from allergies or respiratory conditions. Yellow dust travels from the Gobi Desert in Mongolia and China, so we cannot escape it. Therefore, people need to take appropriate action to combat the harmful effects of yellow dust. Yellow dust causes various conditions and can worsen preexisting ones. The main diseases include respiratory, eye and skin conditions. When yellow dust enters the respiratory tract, it can irritate the mucous membranes, which leads to breathing difficulties and pain in the throat even in healthy people. Patients who suffer from respiratory conditions, such as asthma or tuberculosis, as well as the elderly and young children can experience more severe symptoms when exposed to yellow dust. Symptoms related to allergic rhinitis can also worsen due to yellow dust. The main symptoms include persistent sneezing, clear rhinorrhea (runny nose) and a blocked nose. Antihistamines can be used to relieve severe symptoms. Patients with respiratory conditions are advised to stay indoors if yellow dust is severe. Maintain a clean indoor atmosphere by using air filters and increase the indoor humidity with an air humidifier. When yellow dust enters the respiratory tract, it irritates the mucous membranes, causing breathing difficulties and sore throats even in healthy people. Patients who suffer from respiratory conditions, such as asthma or tuberculosis, may experience a worsening of symptoms such as dyspnea. The symptoms of asthma include persistent and sudden coughing, breathlessness and wheezing. Bouts of coughing can occur late at night or early in the morning, causing inconvenience to the patient and those nearby. Allergic asthma is caused by hypersensitivity of a causative agent, leading to irritation of the mucous membrane and bronchoconstriction. Asthma should be treated by a specialist doctor with anti-inflammatories and bronchodilators. Therefore, patients with asthma should avoid going outside when yellow dust is severe. It is also advisable to use an air filter to screen out any yellow dust that enters the house, and to use an air humidifier. Yellow dust causes eye, skin and respiratory conditions and particularly affects the elderly and young children. 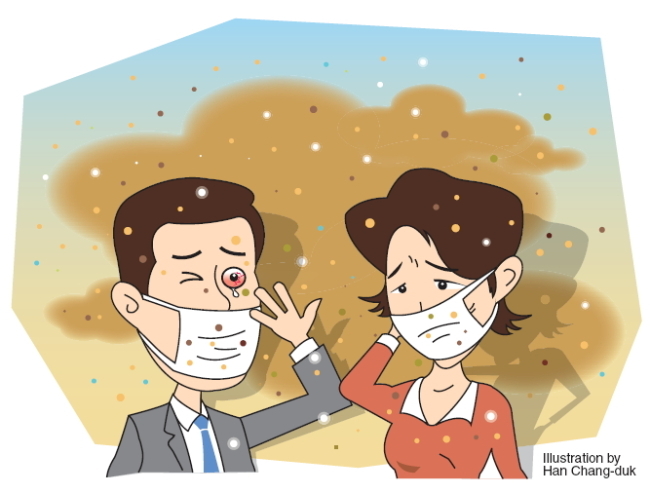 Doctors advise people to avoid going outside when there is yellow dust, and to wear long-sleeved clothing to minimize dust exposure. People should also wash their hands and feet when they return home from outside. The main symptoms include persistent sneezing, clear rhinorrhea and a blocked nose. It is thought that 30 percent of school-age children and 10 percent of adults suffer from varying degrees of allergic rhinitis. Antihistamines can be used to treat a runny nose or a blocked nose, but it can cause side effects such as itchiness or a dry mouth. To relieve congestion in the nasal mucosa, vasoconstrictor nasal sprays can be used. Cromolyn sodium sprays can be used for prevention. Immune-modulator injections can also be used but require a long-term treatment of 3-5 years. 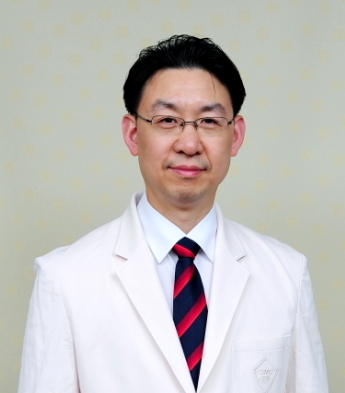 The author is a doctor at the department of pediatrics at Samsung Medical Center and a professor at Sungkyunkwan University’s School of Medicine. ― Ed.